To Fit: SAAB 9-3 Sports Saloon/Sedan, Combi 2003 onwards & Convertible 2004 onwards all models with 2.0 or 1.8 Litre Turbo Engine. NB: Not suitable for 2003 models with SAI (secondary air intake). 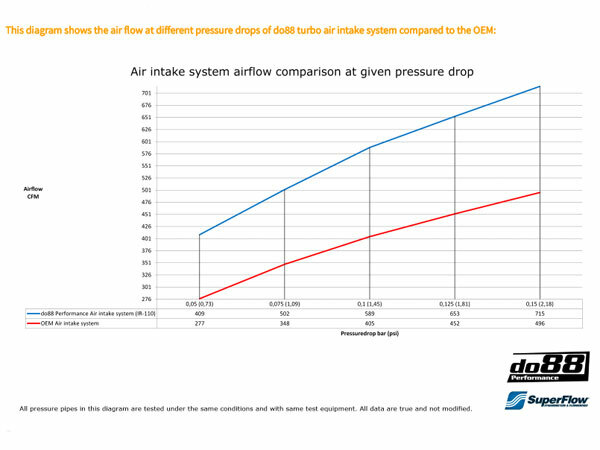 Do88 turbo inlet pipe has an air flow at 0,125bar/1,81psi pressure drop of 653CFM, compared to the OEM pipe and air box that has 452CFM! Aluminium inlet pipe, 70mm outer diameter, mandrel bent for best possible airflow! Silicone coupler hose, 4 layer polyester fabric reinforced with steel wire for best possible airflow and high pressure! Rubber seals to offer the air filter the best possible protection from the hot air in the engine bay! Complete kit upgrading all parts from the turbo all the way up to and including the air filter! See enlarged image for more information! 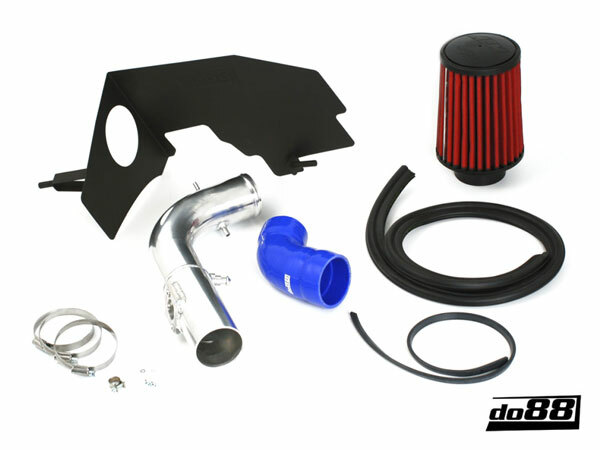 For those of you with high horse power goals in mind this complete air intake kit is a must! 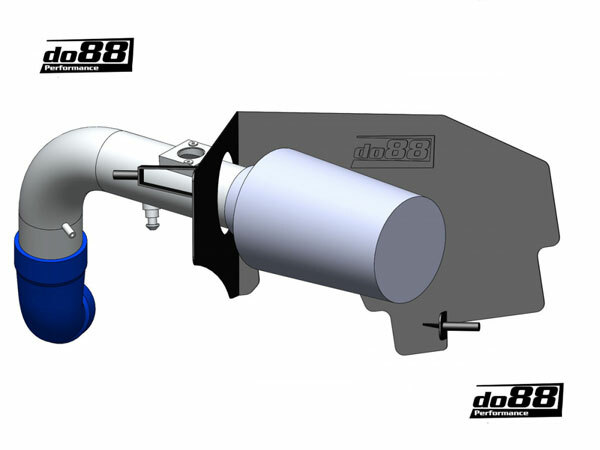 The intake system has better air flow than the stock air box and intake pipem, this is verified in Do88’s own SuperFlow SF-1020 flow bench. The included air intake pipe has an outer diameter of 70mm (2 3/4") and is mandrel bent for best possible air flow. The pipe connects to the turbocharger inlet with a custom designed 4 PLY silicone hose designed for best air flow and then steel wire reinforced to handle high and varied pressure ranges! To achieve best level of function fit and looks the pipe has CNC machined bracket and air mass meter flange! The air mass meter flange is welded to a carefully selected pipe section with correct air flow cross section to maintain proper air mass meter readings. The included heat shield is designed to create a screen between the air filter and the warm air in the engine compartment. 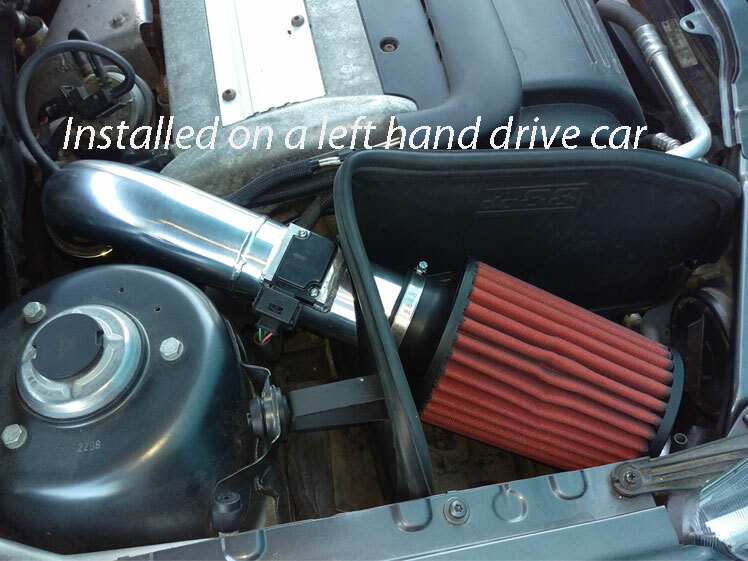 This is done by a custom designed heat shield plate that comes with rubber seals, this makes the best seal as best possible to the bonnet insulation to ensure your air filter is protected from the hot air; better than other intake systems available! 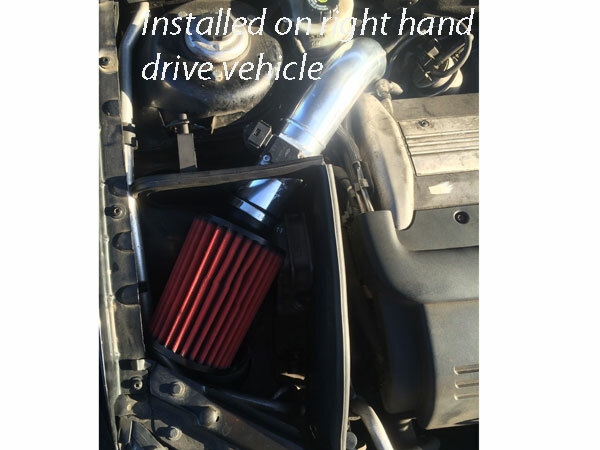 The filter is located in a position where it’s fed with cold air from the intake pipe from the front grille. 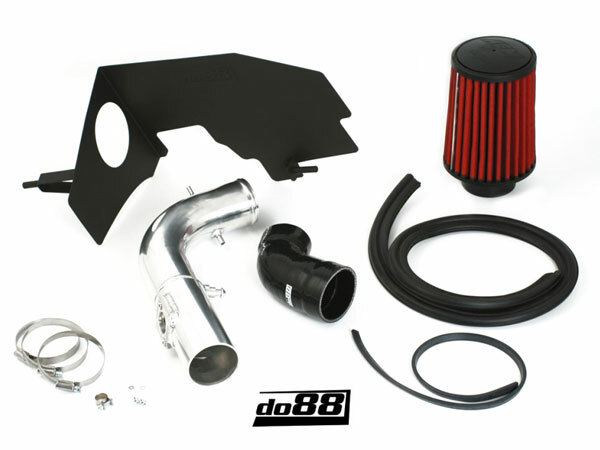 If you want to improve the cold air flow to the filter you can replace the original air guide with a do88 air ducting hose which can be found on the site here, you can use this to lead air from any preferred location in the front of the car. Please note due to the position of the master cylinder on right hand drive cars, the fitment of the pipe is very tight, but it is possible. - please see large image.